Sam J. Butterbiggins' only ambition is to be a Very Noble Knight, but he has a problem - he's been packed off to the castle next door to stay with his aunt and uncle while his parents are away. Not only does he have to put up with his annoying cousin Prune, there's also the weird creatures his aunt looks after in her Luxury Accommodation for Dragons, Griffins and other Regal Beasts to contend with! 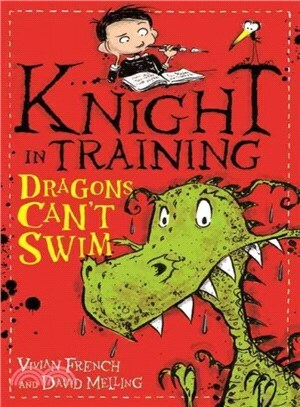 But when Godfrey the dragon gets stuck down a well, Sam and Prune have to work together to come to the rescue.